Kellogg's successfully argued that the product was substantially different from the standard range. 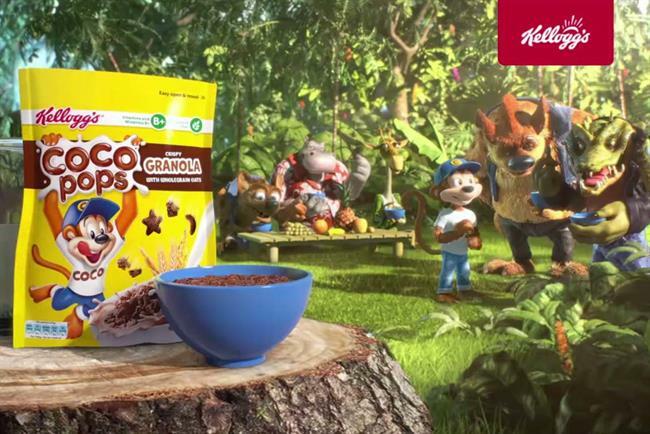 A TV ad ban for Coco Pops Granola has been overturned after Kellogg's successfully appealed to an independent review. It reverses a decision by the Advertising Standards Authority in August, in which Kellogg's was accused of targeting children. The spot, for Coco Pops Granola, was created by Hogarth. It was shown during children’s show Mr Bean on 3 January and featured brand mascot Coco the Monkey. The product is not classified as high in fat, salt or sugar, after Kellogg's reduced its sugar content by 40%. Nevertheless, the ad was banned because brands associated with HFSS products cannot be advertised in programmes aimed at, or likely to appeal to, children under 16. However, the ASA's independent review has now overturned the ban after Kellogg's argued that the product was substantially different from the standard Coco Pops range. Today, the ASA said: "We considered that Coco Pops Granola was the focus of the ad throughout, including through the use of close-up shots of the product and the product pack (both of which were of a different appearance to other products in the range), and two references to 'Coco Pops Granola' in the voiceover, including once by Coco. The brand name 'Coco Pops' was also not used on its own." The move has drawn sharp criticism from health campaigners. Caroline Cerny, from the Obesity Health Alliance, which lodged the initial complaint against the ad, said today’s decision was an example of why the UK needs strong government action to protect children from unhealthy food marketing.